Reports are that the CBO Burger from McDonald's is pretty good. 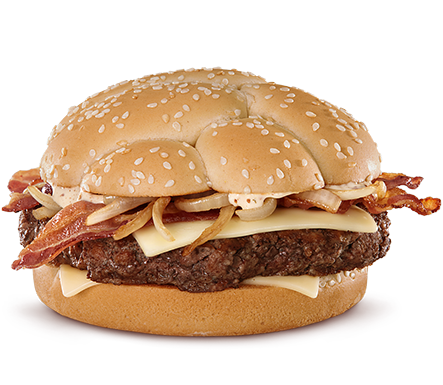 The CBO stands for cheddar, bacon, and onion. 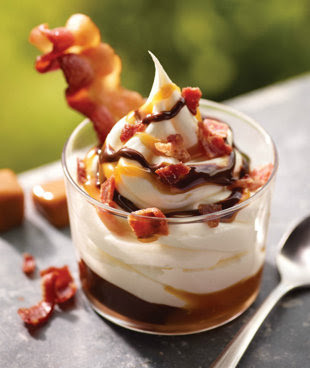 Burger King's Bacon Sundae? 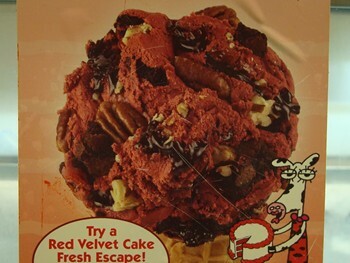 We're looking forward to be able to bring you a What You Really Get Photo of Burger King's crazy new bacon ice cream concoction. Is it true that they use Hormel Black Label Bacon? 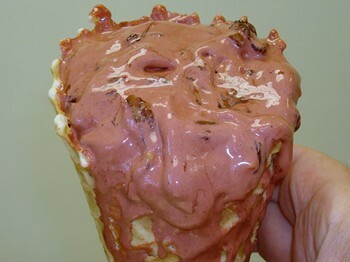 We assure you that the picture was taken immediately after cone was handed over the counter. The worst part about this was that a girl in our neighborhood works at this place and she made our cone. We were afraid that she'd give us a "hook up"/"brother-in-law special," something we normally hope for, but in this case it would throw off the integrity of our experiment. But, alas, she handed us this melting abomination. Yes, this looks like burrito, but it is not. 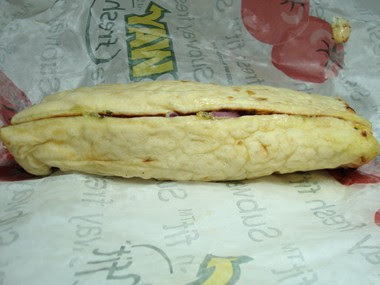 Truly a far cry from the sandwich, brimming with chicken, we were promised! Just such an inattentive presentation. The individual ingredients are here at this Applebee's plate, but the heavy hand of the cook is apparent.